When your deck is grimy and grey, the easiest way to clean it is to use a power washer. Here’s how to do it properly to get your deck looking fresh and new! 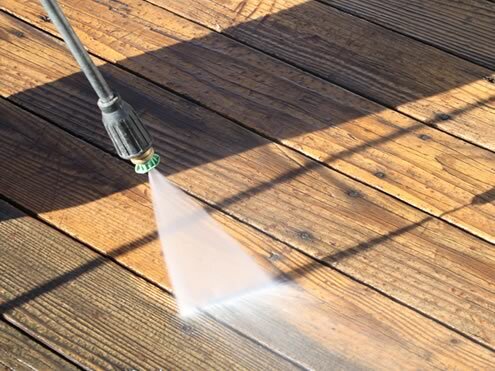 We’ve all heard stories that you shouldn’t wash your wooden deck with a power washer. 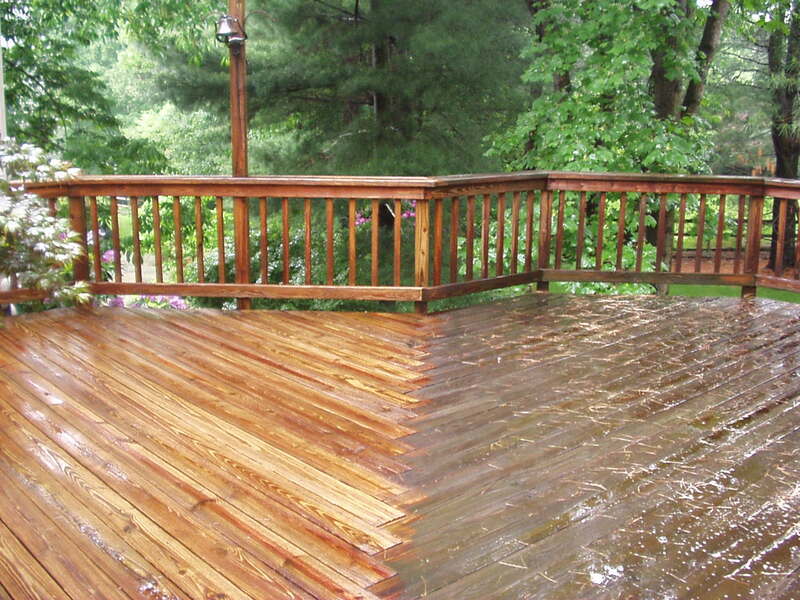 If done improperly, a power washer can actually etch the wood and ruin your deck. With these helpful tips, your deck will look good as new, and with a power washer, can be done in the blink of an eye. 1. Make sure you use a low pressure as possible, while still effectively cleaning your deck. 2. Soft wood like cedar or pine needs to be cleaned at about 500 psi. Harder woods may go higher, but never use more than 1200-1500 psi. 3. Preferably, you should use a fan tip or a rotating tip. 4. Start the water pressure by depressing the trigger away from people and windows, and at least 24 inches away from your wooden deck. Feather the water pressure into the range of 12-18 inches from your deck. 5. Never get closer than 12 inches from your wooden deck (unless it’s at a low pressure). 6. Before washing your entire deck, test the pressure and effectiveness in an inconspicuous area. 1. Set your pressure first to 600 psi to see if it will be effective on your deck. Increase pressure as needed to clean the deck properly without damaging the wood surface. 2. Engage the power washer trigger away from the deck and lower the wand to 12 inches from the surface. Use a sweeping motion to clean the deck. 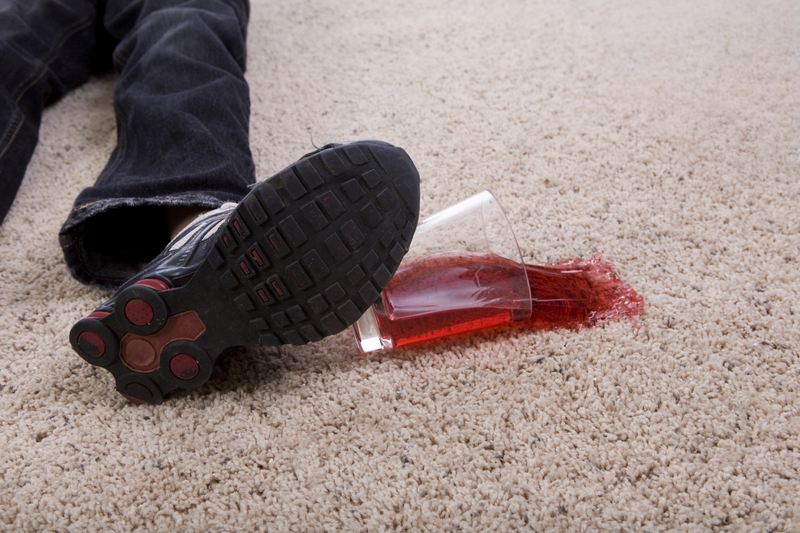 Keep a consistent distance as you sweep. 3. Work with the grain of the wood by spraying lengthwise with the deck boards. You want to get an even clean without any cleaning edges visible. Sometimes during power washing, raised wood fibres can appear and create a rough surface. You can fix this by sanding the area smooth. Make sure you check for raised fibres around handrails, as they can give you splinters. Photos: PRT Landscaping, Grime Blaster, A Glass Act.